In 2023, we will celebrate 120 years since Caroline Julia Bartlett Crane founded Women’s Civic Improvement League—what we know today as Family & Children Services (F&CS). An F&CS volunteer, Mary Brigid Corcoran, has compiled our rich history, and we will begin to share it here with you, a chapter at a time. We hope you will be as fascinated by it as we are. It is a history of a community coming together to bring improvements to the city and its residents. 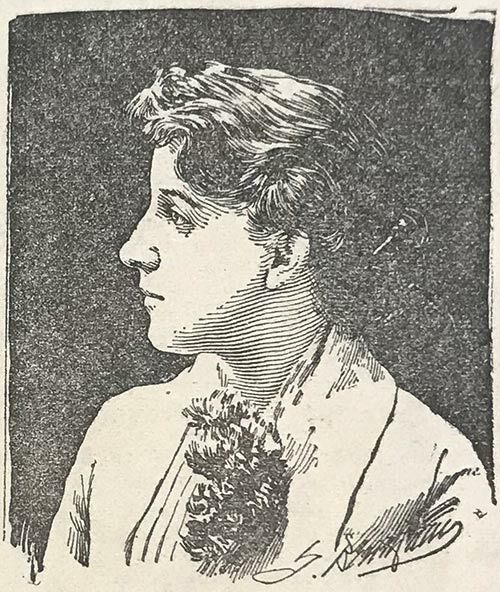 Born in 1858 in Wisconsin, Caroline Julia Bartlett was an early American feminist, civic leader, social reformer, minister, newspaper woman, and an authority on city sanitation. As you read about her and how she came to Kalamazoo and made a life here, you will recognize many places and organizations in greater Kalamazoo that played a part in her journey and in the formation of F&CS. We have come a long way in these many years. Throughout these years, together with you and your generous gifts, we have helped many thousands of families and children. You have made F&CS possible. As you read about our history, please think about how you can continue the legacy Caroline built and make it your own. The families we serve have many needs. In our story, A Gift for Tomorrow, explore the various ways you can help F&CS thrive for generations to come. In 2023, Family & Children Services will celebrate its 120th anniversary. In each newsletter between now and then we will feature an article exploring some aspect of our history. Ultimately, these articles and others will be compiled in an institutional history book featuring photographs, newspaper clippings, and other archival materials. Ever since Family & Children Services’ initial organization in 1903 as the Women’s Civic Improvement League, it is people who have anchored us and people who have inspired us. Accordingly, people will serve as the primary focus of this institutional history. We can think of no more fitting a person to begin with than our foundress, Caroline Julia Bartlett Crane. The following article explores Caroline’s personal history alongside a history of our organization’s first nine years (1903 through 1912). When Caroline Julia Bartlett Crane established the Women’s Civic Improvement League 116 years ago—today known as Family & Children Services—she was probably not thinking about leaving a legacy. She was no doubt thinking about how to help her community be a great place to live for all of its residents. Today we celebrate the legacy Bartlett has created and the impact it has had on so many lives. We also want to take time to consider how we, each and every one of us, can do the same. What we do today can make a powerful and lasting difference tomorrow. Planned giving can create a legacy for you, too, that will change the future for many. Help a child go to summer camp! When you think back to your childhood summers, how many of those memories bring you back to summer camp? The cheerful, crackling flames of a campfire, faces lit up by the light, eyes wide as everyone leans in to hear the scary story … whispered secrets from bunk bed to bunk bed in the dark … gooey s’mores smearing chocolate and marshmallow over your face and fingers … cool swims in the lake under the hot sun. Not every child shares in those rich summer memories. How precious such camp days would be to the child who otherwise lives burdened with emotional and developmental challenges, often also neglect and abuse. 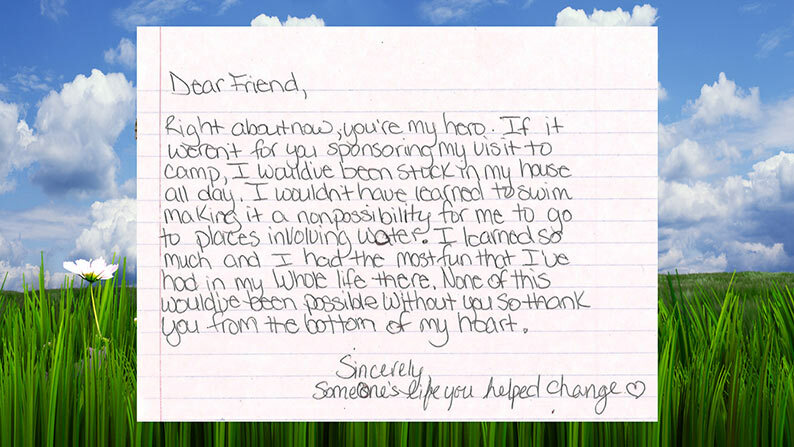 At Family & Children Services, families who come to us often include children who have never experienced summer camp. Every spring, we send 100 children to a camp matched to each child’s individual needs—and it is your gift that makes that possible. To make a gift now and send a child to camp, please consider making a single, tax-deductible donation or a multi-year pledge. Because we believe EVERY child deserves a great summer memory. 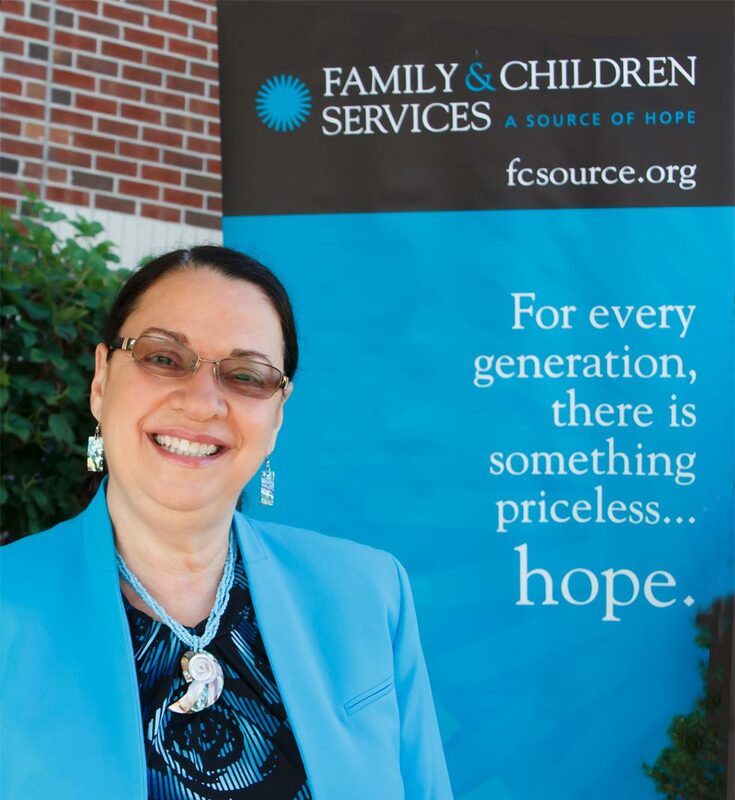 Visit fcsource.org and click on DONATE NOW to give through our secure online portal or call 269.344.0202.